How would you like to have a big name company sell your product under their own label? It might not be as hard as you think. While licensing seems like a good option for inventors and entrepreneurs, landing that licensing deals remains elusive for many, but private label arrangements can be almost as advantageous and are much easier to work out. A private label selling arrangement is when you manufacture the product and then another company buys your product and sells it under their own label. This happens all the time, most people just don’t realize it. It is expensive for companies to develop new products, so often instead of developing complimentary products, or products that won’t make millions, companies either license them or sell them on a private label basis to save money on product development. When selling on a private label arrangement, you will need to sell the product for a lower price, because you are adding one more middle man into the picture: the private label company, who then sells to customers, retailers or distributors. But with private labeling, you don’t handle consumer marketing, your product will probably reach a larger audience than you could sell to on your own and your product will have added credibility because it bears the brand and label of an established company. You can even sell your product on a private label basis to multiple companies who will all resell the product under their own label. Not all products are good candidates for private label agreements. Since companies usually don’t want to promote products that don’t make them as much money (private label and licensed products bring in less profit than products developed within the company), the product needs to sell itself. This means it can’t be vastly different than products that have come before it, consumers must know they need it and the product must meet a clearly defined need. The product doesn’t need to garner any media attention, but instead people should see the product in its package, understand the product and its benefits and buy the product. Products that compliment the company’s successful products have the best chance of being sold under a private label agreement. This means that the product’s appeal should have a similar appeal to the existing products the company already sells. Finally, only mid- to high-priced items do well under private labeling because the profits need to be split between a larger number of people and if the product is too low priced, then there is not much profit to go around. That’s when Levin considered all his options and decided to private label. “Lots of nickels are better than a few dimes,” Levin reasons. The most consistent of the three private label customers he’s worked with, Professional Solutions, signed on in 1994 and has since sold Levin’s product under the name Instant Nail Repair. The decision proved to be a smart one for Levin: Since 1995, his Danville, California, company, Custom Solutions, has been selling about 1.5 million units of the instant nail-repair product per year. Ask the buyer for a purchase order, and state that you’ll supply the product in the buyer’s package, or that you’ll modify your package to the buyer’s specifications. If necessary, you can also offer training to the buyer’s salespeople, and you can even offer to maintain a website for the product. If you are selling to a retailer, you might want to offer a display, and you could even show a diagram of what complementary products your product should be displayed next to. Provide marketing support, such as attending trade shows, doing publicity releases, actively working a web page, or offering layouts for ads or brochures. You can also offer to provide customer service for handling product problems, to take care of product returns, and to suggest product improvements. Your private-label buyer is probably not going to invest any money in marketing. So potential buyers need to see your product and immediately realize its benefit. If you have a consumer product, take time to package your product so it sells itself. The packaging and design of a product are extremely important if your private-label agreement is with a retailer or with a distributor who sells to retailers. For help with designing packaging, contact Josh Wallace. Companies take on private label products primarily for competitive reasons. To sell the concept effectively, you need to know your target company’s competitors and how your product improves the company’s position in relation to them. Being familiar with the competition is also important if retailers are the final stop in the targeted distribution channel. One of the big reasons why companies take on private label products is to fill out their product lines. Retailers don’t like to buy from many different suppliers, so sometimes if one supplier has a more complete product line, they will drop their current supplier in favor of the new one. So when your product fills a gap in a company’s product line, it will help them get into more retailers with not just your product, but with all their products, increasing sales across the board. To find potential private label partners, do an Internet search for “private label,” and you’ll find hundreds of companies that market private label products in dozens of ways. Also check out the Private Label Manufacturers Association, which hosts trade shows and offers information for potential private label manufacturers. 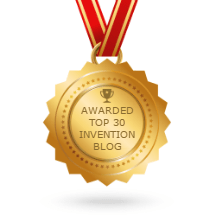 Inventors need a “looks like, works like” prototype before landing a private-label agreement. A company wants to not only see, but also to test your product before deciding to go ahead. If you can’t make the prototype, you can get a contract manufacturer to make it for you at a low cost–provided you sign an agreement to give them the business if you get the sale. For help with prototypes, contact T2 Design. When you approach a company with a private label proposal, show them that their target customers like and need your product. This can be shown by having surveys of potential customers, or interviews or supporting letters from influential users. You’re responsible for providing the product in a private label agreement, either by making the product yourself or by having a contract manufacturer make it. No matter how low your margin is, start with a contract manufacturer to ensure the agreement gets off to a good start. You can switch to your own manufacturing operation once sales are secure. To make money in a private label agreement, you may need to consider overseas manufacturing. Edie Tolchin can help you set that up. You need to talk to the end users or target customers, the more influential the better, of the companies you will be approaching for a private label deal. You want to know influential people in the distribution channel. Their support for your product can play a major role in securing a private label agreement. Other key contacts include people who get you in the door of your target customers. Salespeople, marketing personnel, regional sales managers, or top executives are all people who can help you. You can meet these contacts by attending industry trade shows or association meetings. All you need to do is approach the people in the booth, explain that you have a new product, and ask if they’d share their opinion of it with you. You can also request sales literature from companies you are interested in. Often that literature comes with the name and contact information of a salesperson. Call that person up and ask to take out to lunch to talk about your product. If the people are positive about the idea, you can ask them if they feel the product would be a good fit in their company’s product line. If they think it would, you can ask them whom you should talk to about a private label agreement. Once you are ready to approach one or more companies about a private label deal, ask your key contacts if they could help set up a meeting with the right people inside the company. Use your research to prepare a presentation, showing how your product could improve their position against the competition, how consumers want your product and discuss what you are willing to do to help the product sell. Not every company will agree, but don’t give up. Keep on approaching more companies and hone your presentation until you find the right match. When approaching companies, don’t forget these important points. Your company contacts who are helping support your product can also help you coordinate your presentation. You want to learn first what the company feels are important benefits for its customers, and then gear your presentation so that your product provides at least some of those benefits. One of the dangers of private label marketing is that your product will be shuffled off to the corner. Offering your help for no charge ensures that the company will at least have a marketing plan in place for your product. Your company contact might also be willing to prepare a better package, brochure, or sales manual if you are doing most of the work. If you are selling to retailers, offer to work with the buyer to provide a display to help sell the product. This could be as simple as a small card that hangs on a pegboard or that attaches to the front of the shelf. The buyer may end up placing the product on the shelf without any support at all unless you offer to supply it. If you are selling to distributors or retailers, all you really need is a purchase order. If they want an exclusive on your product, you can give them a letter saying that you will sell to them exclusively for a fixed period, usually one or two years as long as the company hits certain sales levels that you both agree to. You also have the buyer include exclusive language in its purchase order. Period of agreement: You don’t want the agreement to continue forever, as your business goals may change. Three years is the longest period you should agree to. General responsibilities of each party: You want to be specific regarding who will pay for packaging, brochures, and other marketing materials. Conditions for terminating the agreement: Typically, lack of performance by either party is cause for terminating the agreement. Price-increase protection: The private label customer may want some protection that price increases will be limited to a certain percentage every year. The entrepreneur may have a provision that increases can go above that limited percentage if its costs increase over a specified amount. Price-protection provision: The customer may want to specify that you can’t charge it more than you charge another private label customer. Exclusivity: This could be by geographic market or territory or by market segment. Exclusivity clauses might also stop you from selling to other private label customers or prevent you from selling the product under your own name. You want to offer as little exclusivity as possible, while the private customer wants as much exclusivity as possible. If you offer exclusivity, you want strong performance clauses, that is, the company has to purchase a certain quantity of product. Product change provisions: This clause should make it clear what type of changes you can and cannot make without your customer’s approval. Shipping and billing details: Who will pay the freight, the minimum order quantities, how many free samples the customer will get, and the payment terms should all be included in the contract. Product ownership: The product, and all its subsequent variations, belongs to you and no one else—even if the customer requests extensive changes, provides engineering support, or helps get the product produced. Entrepreneurs might agree not to sell to anyone else a specific version of the product requested by the customer, but you want to make it clear that all variations of your initial product belong to you. You can’t afford to rest on your laurels after signing a deal. You need to write a first-year plan to get your product off and running. You should include in your plans sales promotions, sales materials, visits to customer locations, training as required, new product development, attending trade shows, market research for new products, an ongoing system of customer feedback, and quarterly reviews of sales status. Your goals in the first year are, one, to be sure the sales and marketing effort for your product is first class and, two, to network with company contacts and with influential end users. The success and staying power of your agreement will increase as you become better known to people involved with the product.